On a corner of a quiet, canal-view side street, this ode to Midcentury Modern design carries through from the outside in. 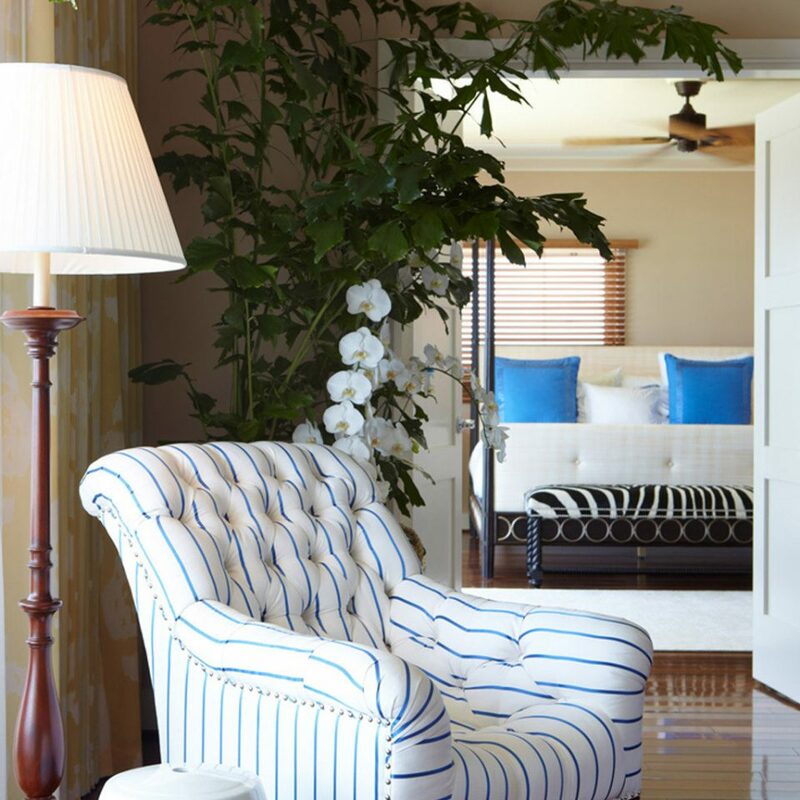 The Coconut was acquired in 2012 by Joie de Vivre hotels, who spruced up the space but kept retro details intact. 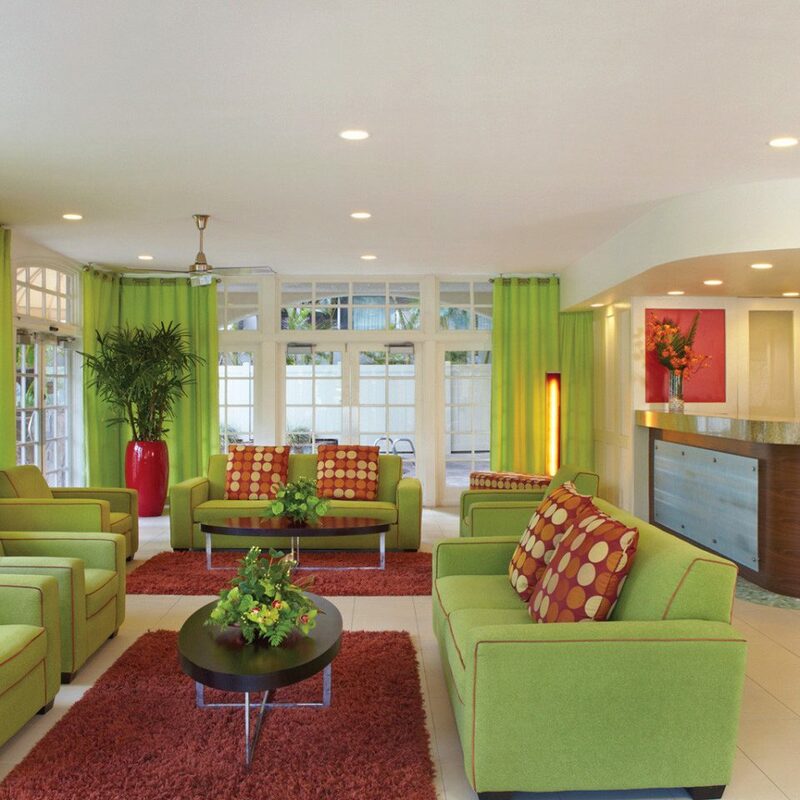 The lobby’s slingback lounge chairs and lime-green color scheme hark back to days of Don Ho and the original Hawaii Five-0. 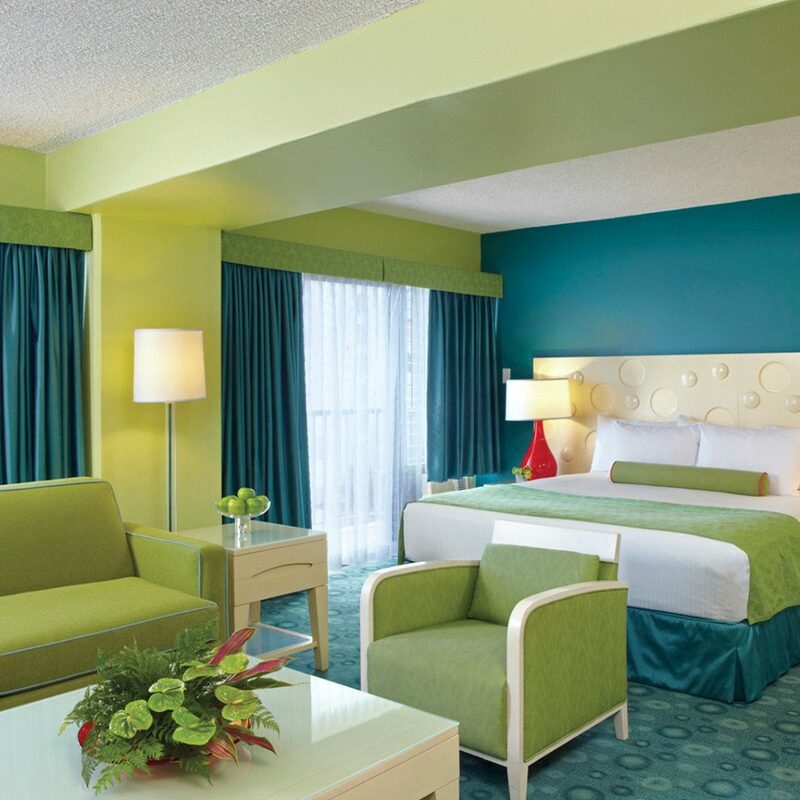 In the guestrooms, lines and patterns create a look similar to that of the common spaces, with repeating squares in the carpet and “tiny bubbles” in the headboard. 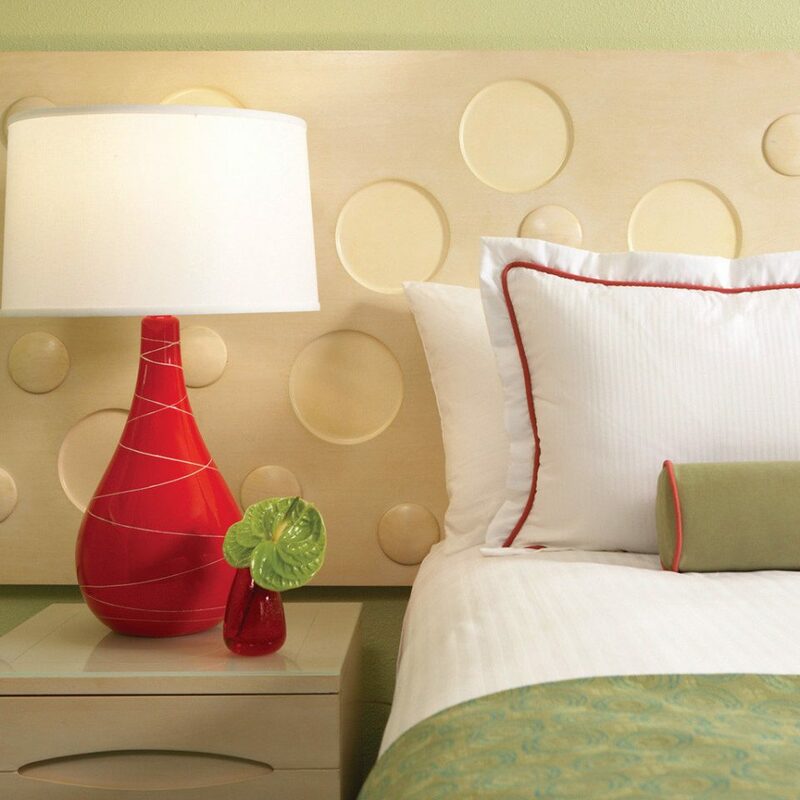 The color scheme of lime-green and azure is well balanced with deep red lamps and other accents, such as lively colored piping on cushions and pillows. The flat-screen TVs are new, as is the high-speed WiFi. 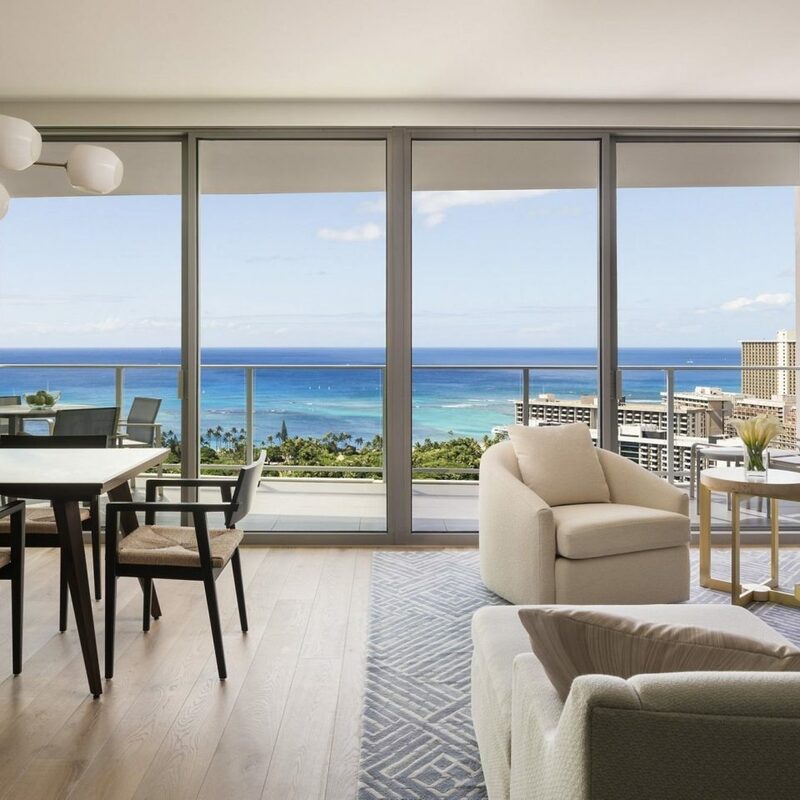 In fact, everything in the rooms — other than the ceilings, the sliding door (to a small but lovely lanai), the Lather amenities and the bathroom floor — feels new. 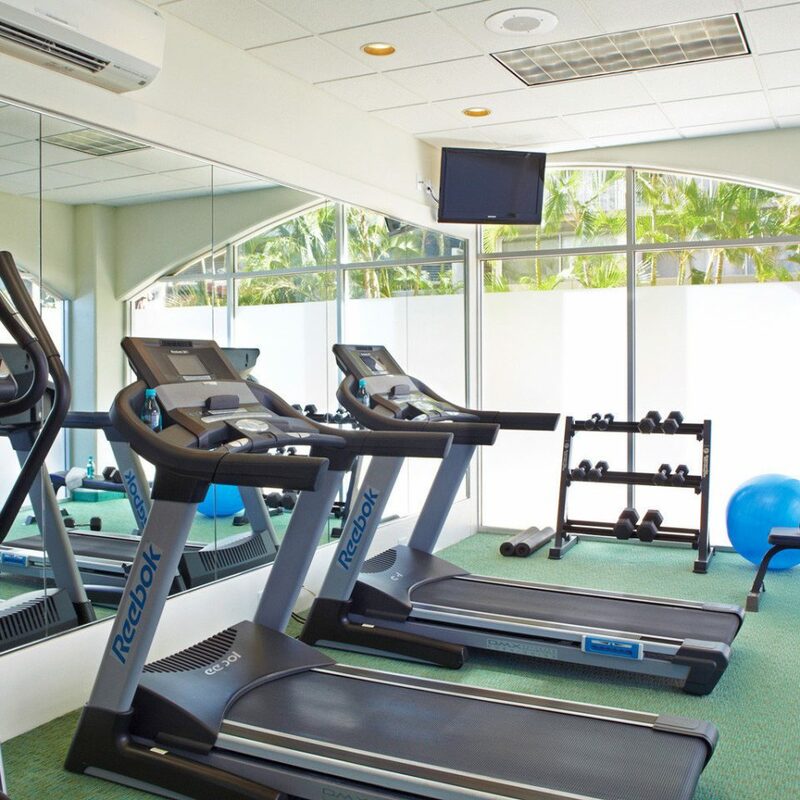 On the ground floor you’ll find a small but clean pool (with grills for guests’ use), a small workout facility and lobby computers for those traveling without. There’s no on-site restaurant, but coffee and tea, newspapers and WiFi (throughout) are all included — a nice touch often overlooked at the big name resorts. 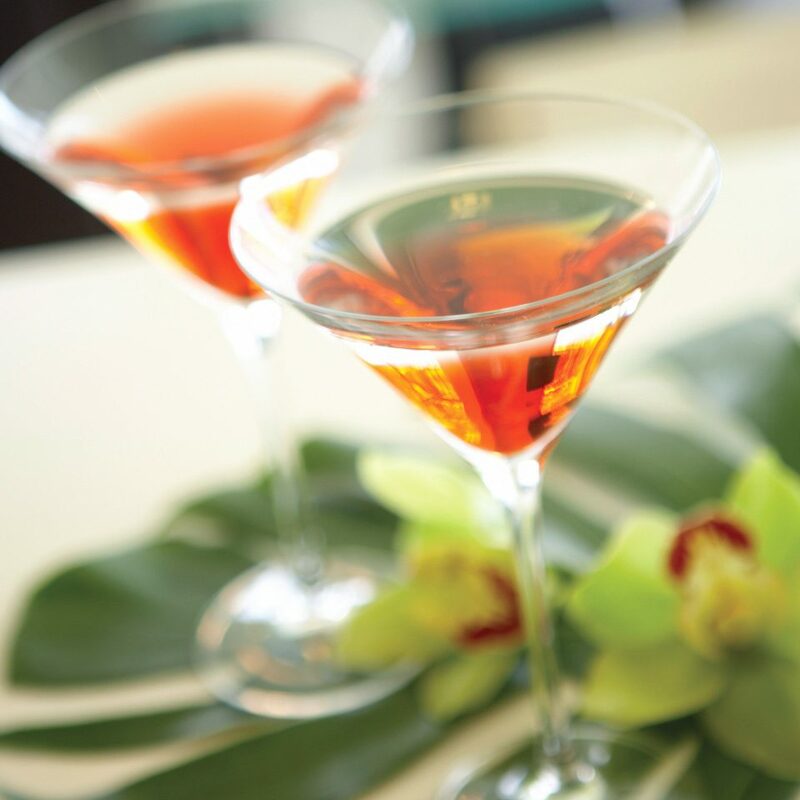 A short walk across the canal takes you to Ala Wai Golf Course, and just beyond, the multiple “local” dining opportunities on Kapahulu Avenue (Side Street Inn and Irifune are favorites). 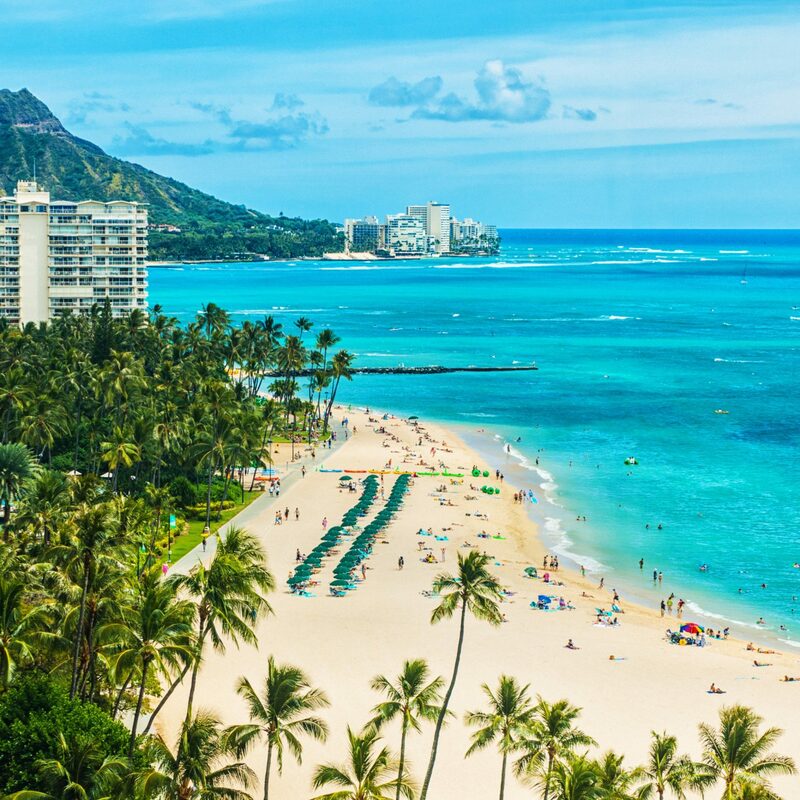 You can stroll just as easily to the Saturday morning farmers market at KCC or the plated lunch at Diamond Head Market as you could to the bustle (and beach, shops and dining) in Waikiki. staff was friendly and very efficient . 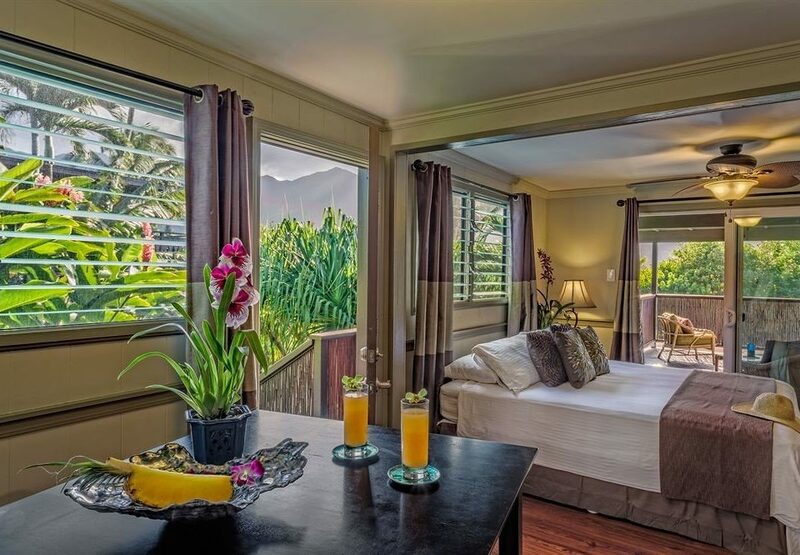 price was more affordable then many in the waikiki area. rooms were clean and were kept clean. parking was handled by valet .... all street parking is on meters. if we were to return, would stay at the coconut again. Loved this place! 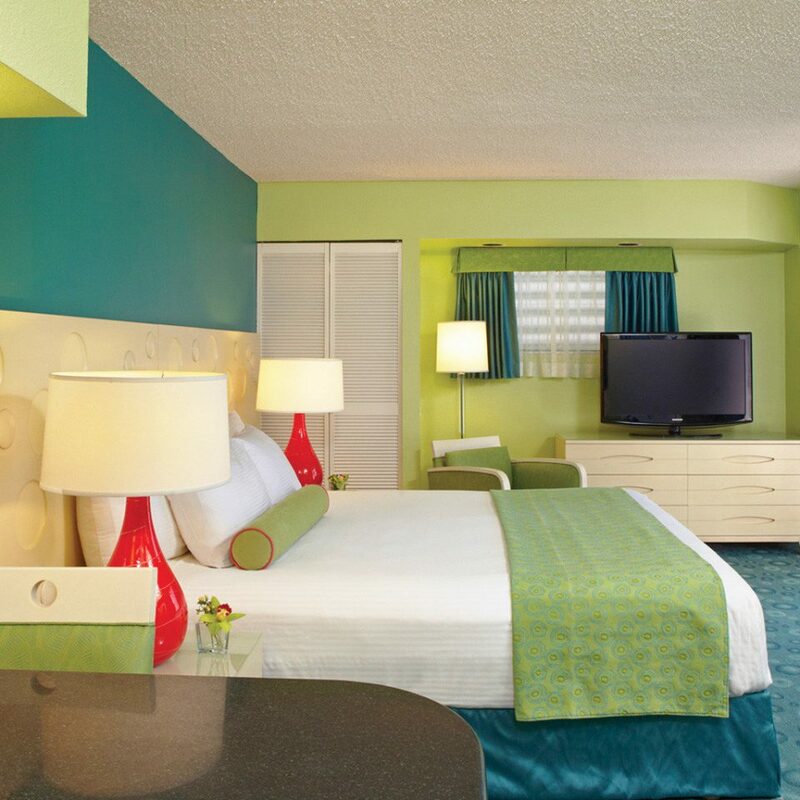 Warm welcome, warm pool, clean and updated rooms. 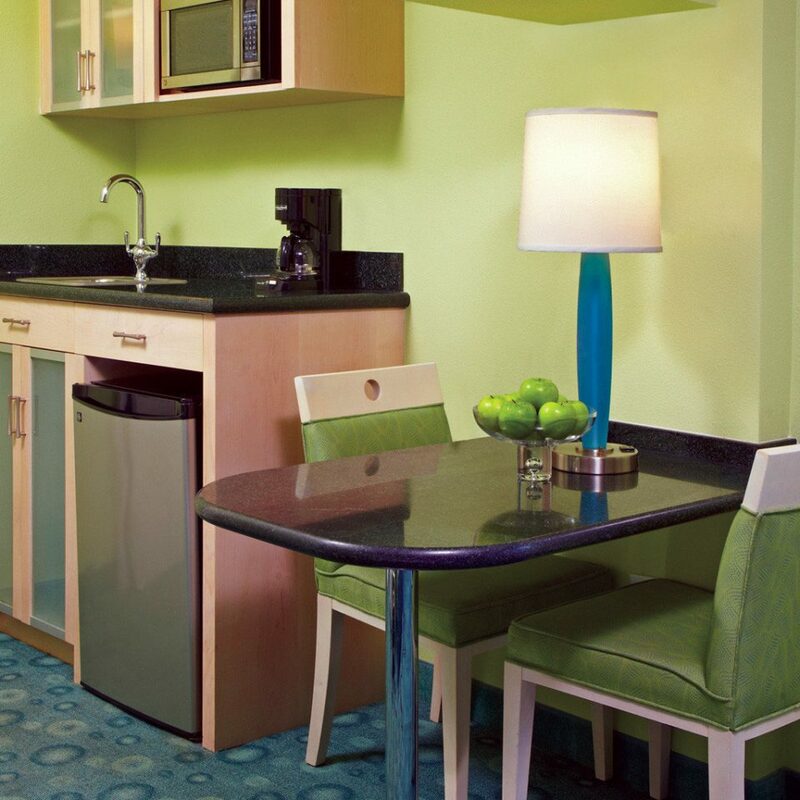 Complimentary breakfast, modern amenities. 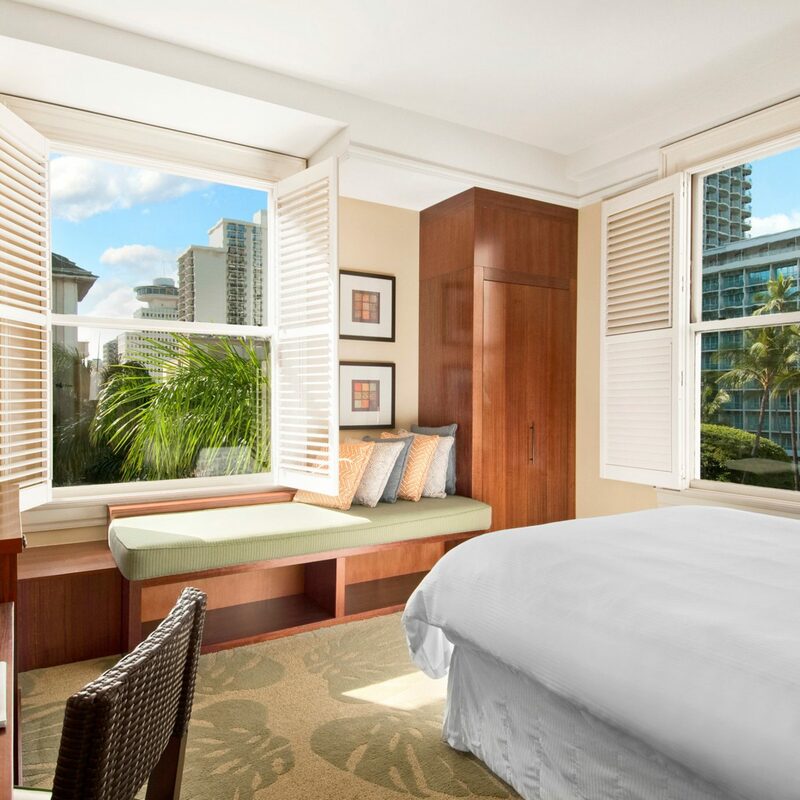 Easily walkable and close to Waikiki. 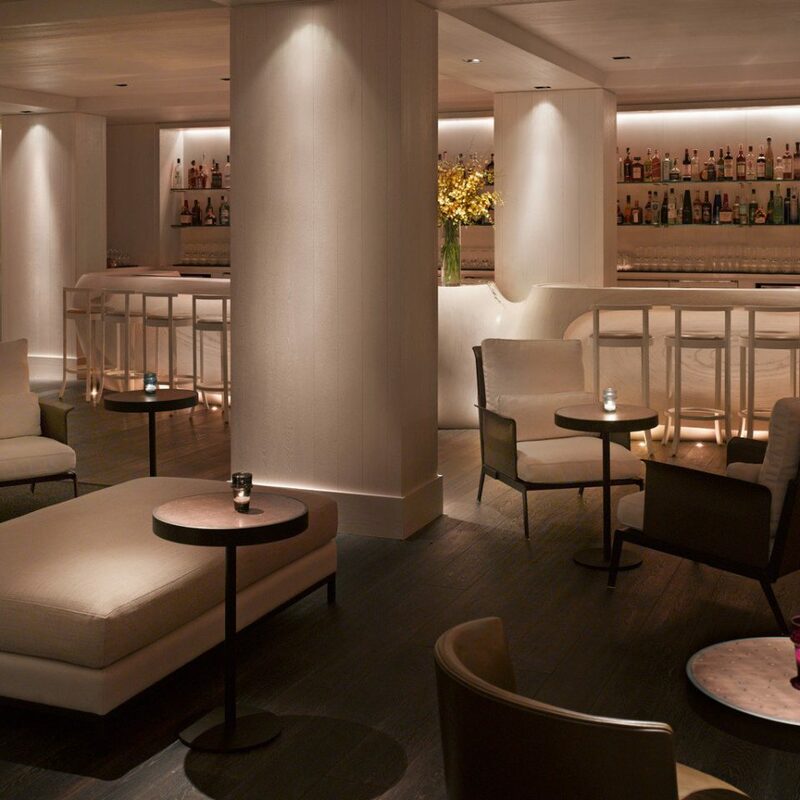 Friendly staff, front desk, and valet. Parking cost was $30/night, but car was safe and accessible. 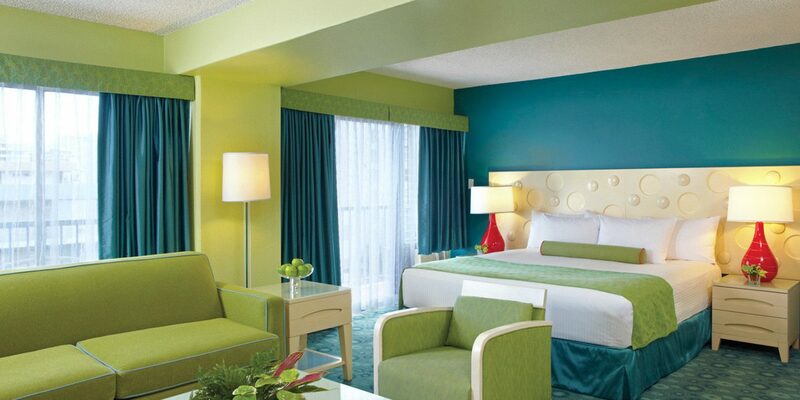 We booked this room the week before and was upgraded to a suite after we arrived. What a beautiful surprise! The guy at the front desk was so helpful and friendly and booked us a last minute dinner at Duke's. There were earplugs provided, but we didn't need them. I'm a very light sleeper. Plus the bed and pillows were very comfortable. The breakfast on Monday morning stopped 8:30 am, but it was too early for us. We didn't miss it. It was nice walking along the canal to have coffee at the Hawaiian Coffee Company. We will definitely come back! Love the hotel and the service. Arrived late at the hotel and couldn’t find the entrance to the hotel. The receptionist came outside to make sure we could find the place. Easy check in. Hotel room was clean and everything in place. 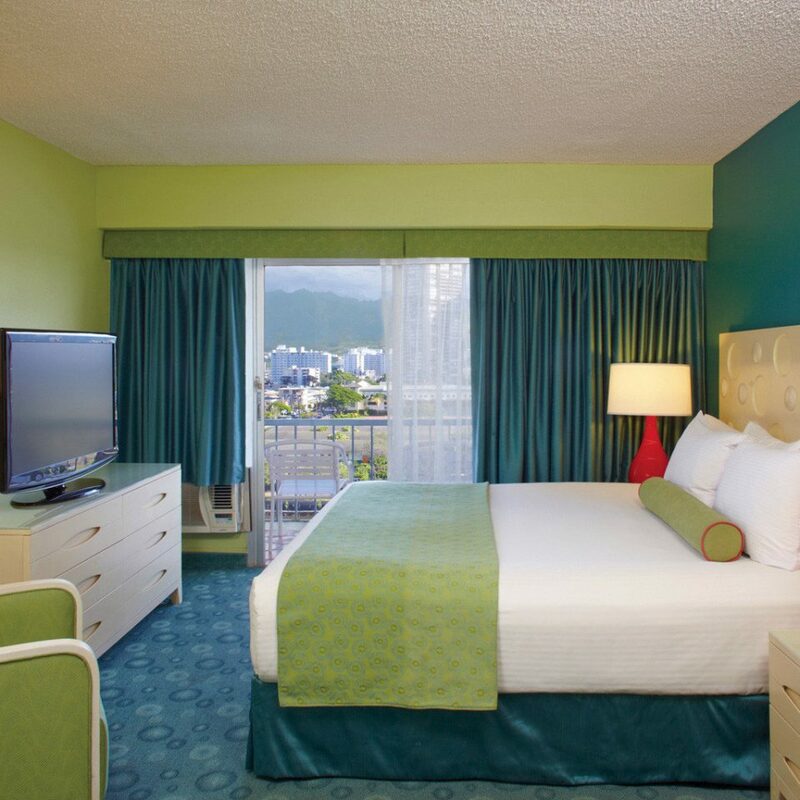 5 minute walking distance to restaurants, shops, and bars. 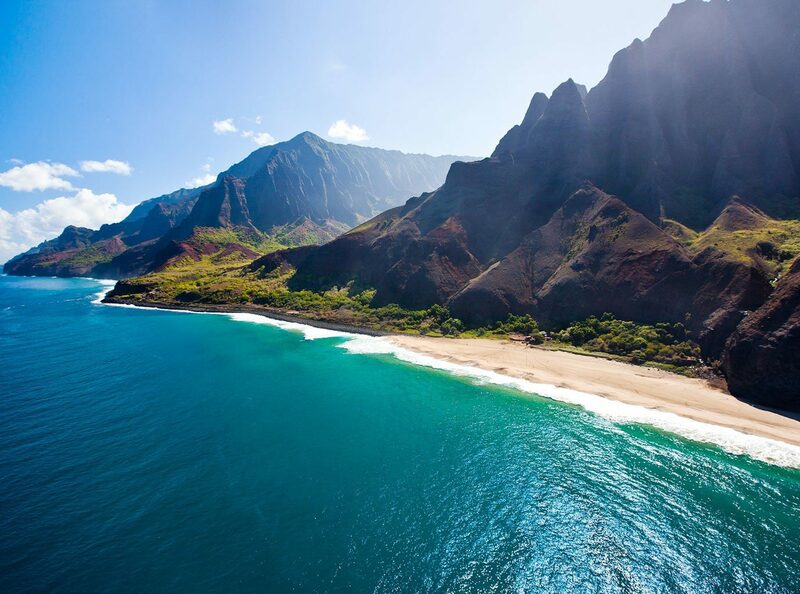 10 minute walking distance to the beach. Will come back!